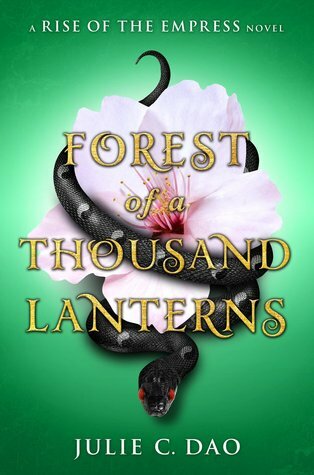 This week on WoW is Forest of a Thousand Lanterns by Julie C. Dao. Talking once again about ARCs: I'm jealous of everyone who received one. I tried so hard to get my hands on one, but living outside US means it is impossible (it really annoys me that International readers don't have a chance - although publishers will say "no" to our money. I'm sorry, I didn't want to seem so bitter). Returning to the novel... I've never read a retelling focused on the story of the Evil Queen of the tale Snow White. And, this one has a East Asian twist. I just can't wait for it. The book will be released on October 10th. "An East Asian fantasy reimagining of The Evil Queen legend about one peasant girl's quest to become Empress--and the darkness she must unleash to achieve her destiny. Because in order to achieve greatness, she must spurn the young man who loves her and exploit the callous magic that runs through her veins--sorcery fueled by eating the hearts of the recently killed. For the god who has sent her on this journey will not be satisfied until his power is absolute."